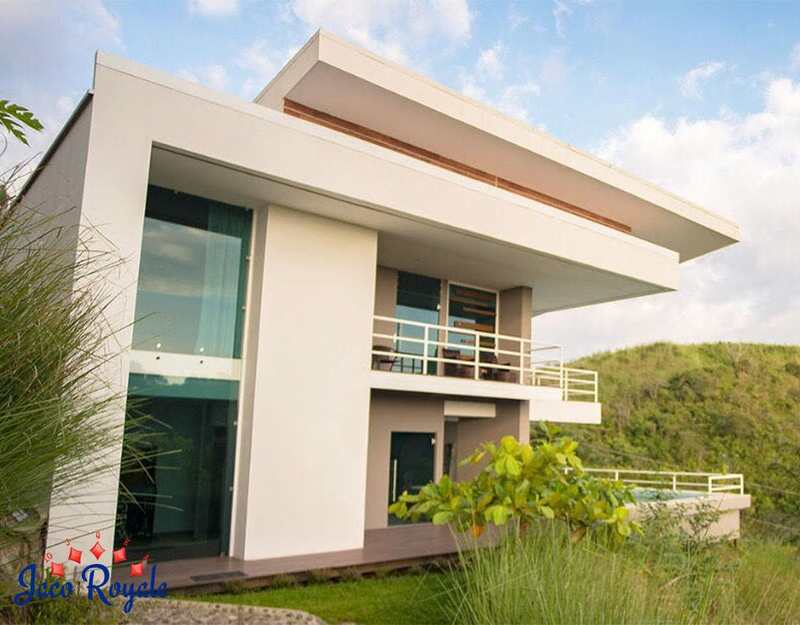 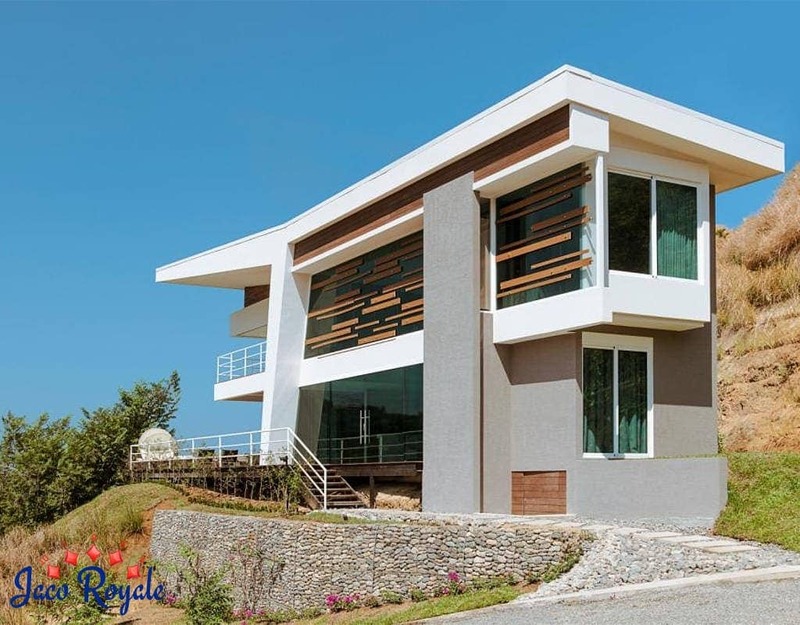 Designed by Eric Bogantes, Royale Ruby stands tall among the rentals in Playa Hermosa. 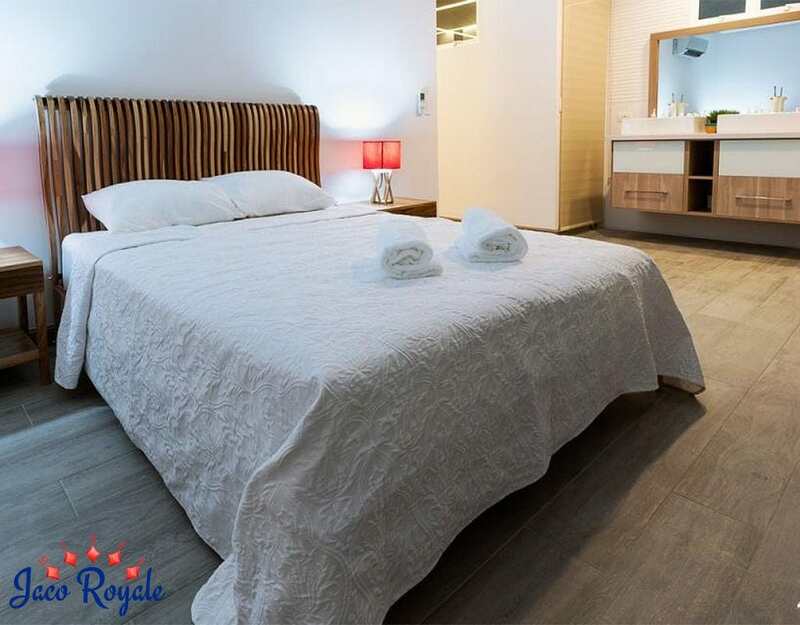 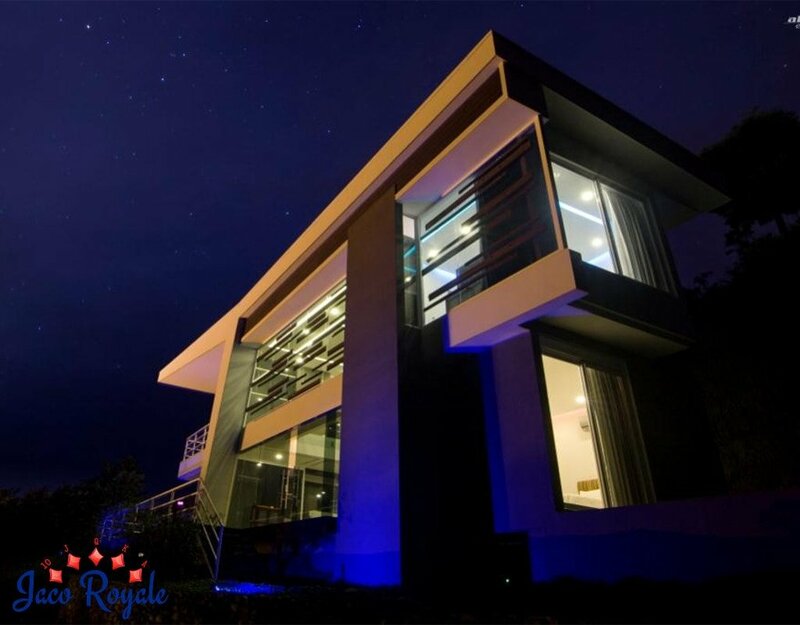 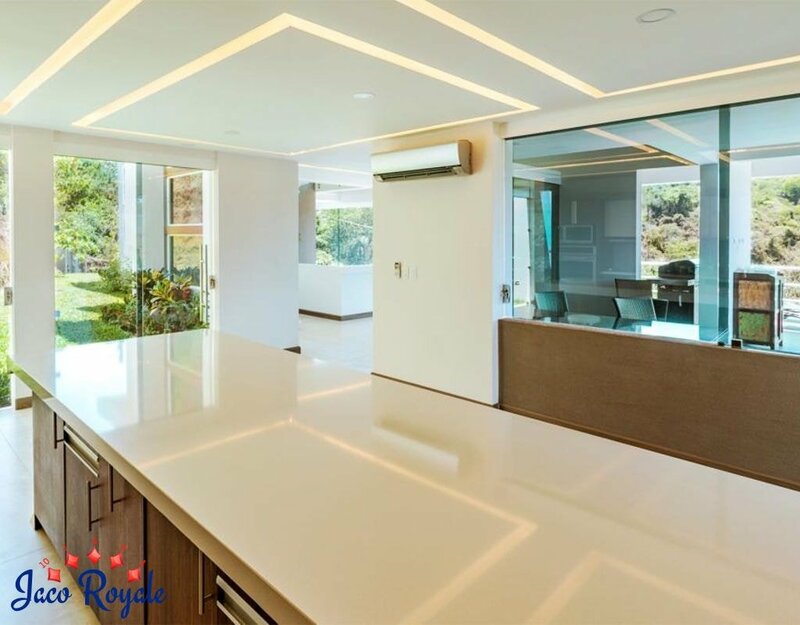 While providing easy access to the nightlife in Jaco, Royale Ruby maintains an air of serenity and seclusion that you cherish in a holiday home. 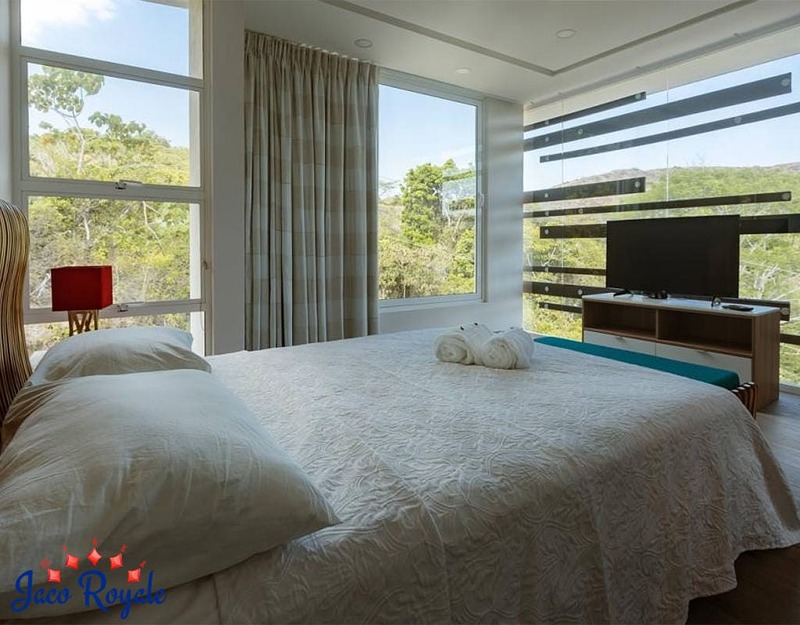 This family-friendly villa boasts of four luxury bedrooms with king- or queen-size beds and private baths for all bedrooms. 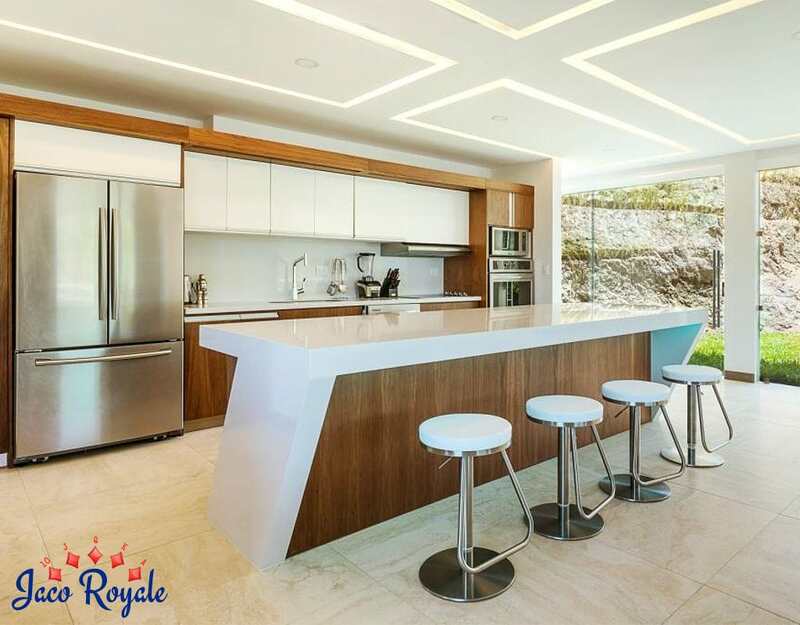 With the thoughtful additions of a modern kitchen, garage, and laundry room, Royale Ruby is geared to ensure as convenient a living as possible. 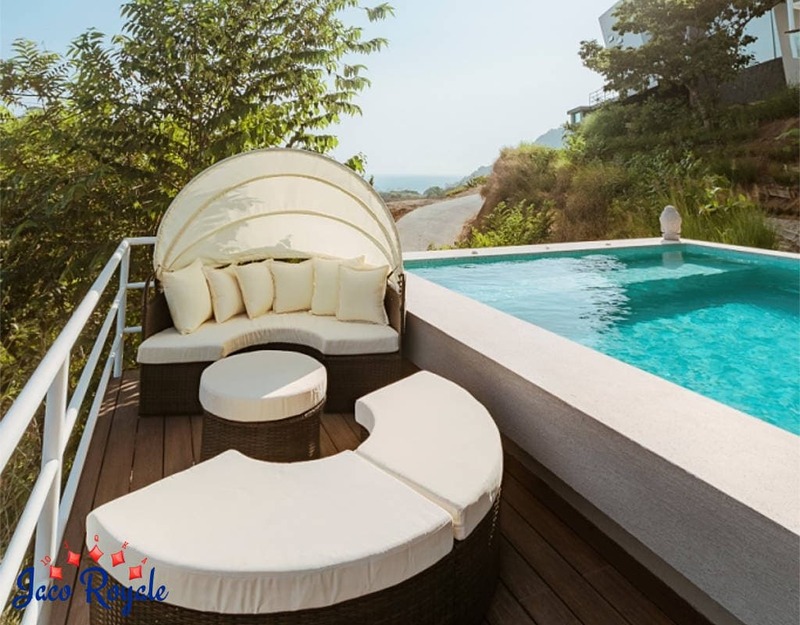 The outdoors defies description with its large infinity pool with ocean view and a cozy backyard. 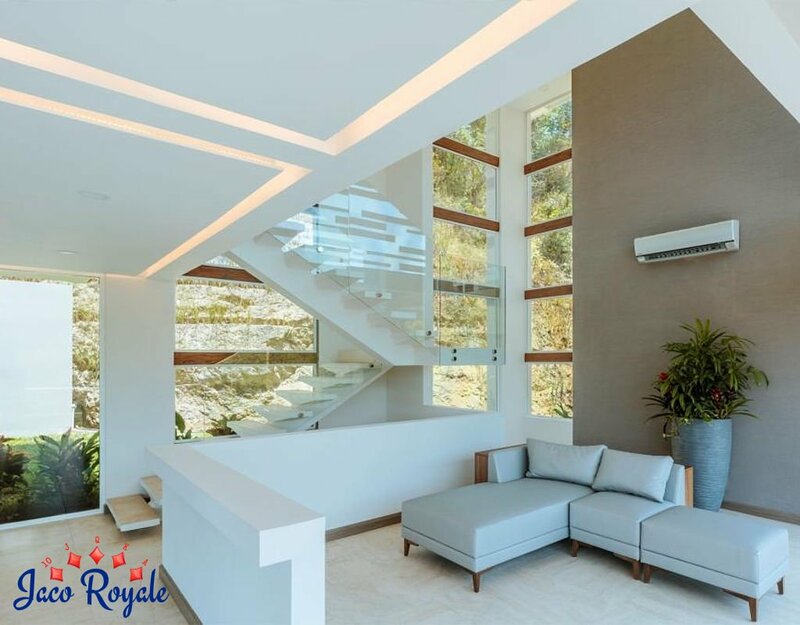 The air-conditioning, wireless high-speed Internet, large flat-screen TVs, and music system round off the perfect picture of luxury.